Ricardo Van ("Jit") Mangum, Sr.
Ricardo Van “Jit” Mangum, Sr. was born in Durham, NC on January 27, 1947, to the late Phillip and Fannie Nunn Mangum. God called him home on February 12, 2019. 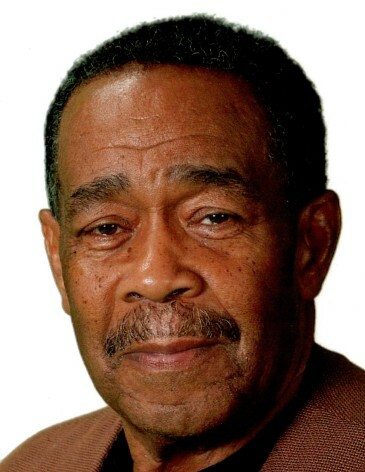 He attended Durham Public Schools and was part of Hillside High School graduating class of 1966. After joining the Army in 1967, he spent time in combat in Vietnam and a tour in Korea. He had outstanding soldier and made friends all over the country. He was employed by the American Tobacco Company, retired from UNC at Chapel Hill, owned and operated Mangum and Sons Plumbing Company and was a jack of all trades. One thing Jit will always be remembered for is sitting on the front porch, lovingly referred to as the “Country Club”, where countless relatives and friends would join him throughout the day to laugh, talk, exercise, discuss various topics and pet his dog, Midnight. He had a vibrant sense of humor, strong opinions and a hearty laugh. He was always the life of the party. We will miss him dearly. He is survived by one daughter, Dormini D. Mangum of GA; four sons, Roddrick Slade, Alan “Xan” Mangum, Ricardo Van Mangum, Jr, and Carlos A. Cross, all of Durham NC; 10 grandchildren; 5 great grandchildren; eight sisters, Mamie L. Mangum, Peggy A. Nickerson (Maurice) of Coral Gables FL, Margo Brown, Phyllis M. Peacock, Illa K. Mangum, Shelia A. Mangum, Staphana A. Mangum and Phillippa Mangum; one brother, Phillip Mangum, Jr., all of Durham, NC; and a host of nieces and nephews, and great nieces and nephews, and great-great nieces and nephews, along with a host of relatives and many, many friends. He was preceded in death by one brother, Aubrey F. Mangum and one sister, India Y. Mangum. Don’t grieve for me, for now I’m free, I’m following paths God made for me. I took his hand, I heard him call, Then turned, and bid farewell to all. I could not stay another day, To laugh, to love, to sing, to play. Tasks left undone must stay that way, I found my peace…at the close of the day. My life’s been full, I’ve savored much, Good friends, good times, a loved one’s touch. Lift up your hearts, and peace to thee, God wants me now. He set me free.